One fine day in London (yes that's a surprise in itself- I had my umbrella with me in any case, let's not kid ourselves here), two friends and I had decided to meet for lunch. As one of them worked in Angel, we decided to pick a place around here. So after consulting with Mr. Google, it was decided we would try this place called Dolcetto. The menu looked appealing, most importantly for me that involves having vegetarian options, and was walking distance from the train station, Angel - 3 minutes according to Google maps. 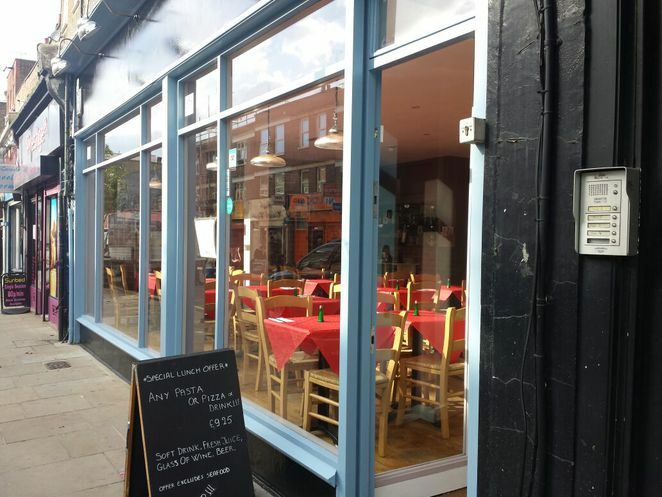 It was easy to get a reservation at short notice, mostly because I think the restaurant is not commonly known, which may have something to do with being overshadowed by Jamie's Italian, which is just opposite the station on the other side. But never judge a book by its cover as they say because I was actually very impressed. Other than getting lost in finding the place thanks to my lack of directions and thanks to misguidance from the internet, I was late by several minutes which did not matter as we were the only three customers in the restaurant, probably because it was a weekday. Located within Chapel street market, it is about two blocks down from the beginning of the market approaching from the direction of the train station. 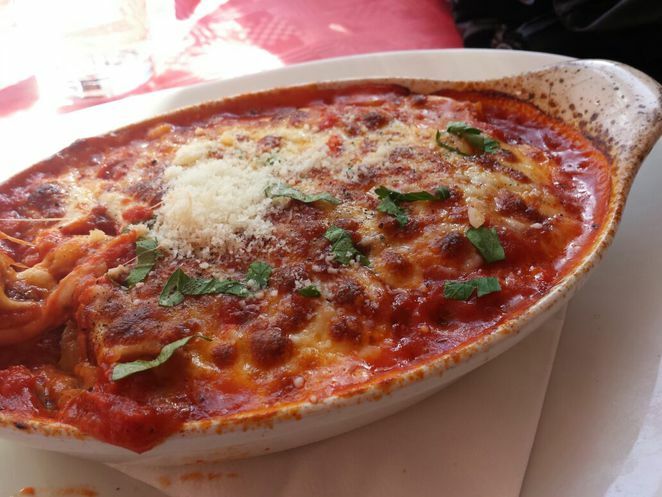 When I saw that my friend had ordered a delicious, cheesy and tomato based vegetarian lasagna, I didn't have to look at the menu for long before ordering the same. 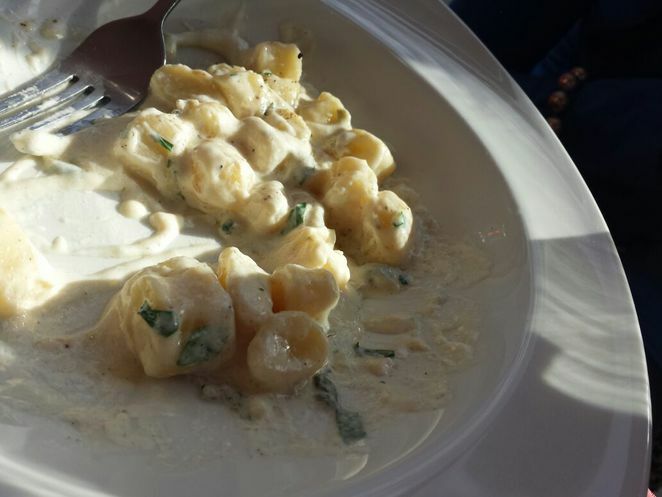 My other friend had ordered a creamy gnocchi, which she enjoyed but could not finish. Personally, I found the taste of the cheese not quite to my liking and the potato gnocchi a bit bland. I like a bit of flavour in my food, however the waiter was more than happy to assist us with additions such as pepper, extra parmesan etc. My lasagne took about ten minutes to arrive, and tasted amazing. I ate every last bit of it. Served in its own serving dish, it came out bubbling straight from the oven. The flavours blended very well and the extra pepper and cheese was divine. I personally really enjoyed the lunch and would recommend it to others especially because I think Dolcetto is a bit understated compared to its better known counterparts. The ambience was pleasing with simple decor, helpful wait staff, and overlooking a busy market was nice.